All Sportage models feature a long list of standard convenience features, including air conditioning, power windows with one-touch down functionality, electronically adjustable side mirrors, 12-volt power outlets in the passenger and cargo compartments, tilt-adjustable steering wheel, and six-way adjustable front seats. Stylishly appointed cloth seats come standard and provide comfortable seating, while 60/40 split-folding rear seats effortlessly accommodate driver and passenger cargo needs. 2013 also brings a standard sun visor extender on all trims for increased driver and passenger comfort. Moving up to the SX trim that we tested, the Premium Package included heated front seats, air-cooled driver’s seat, auto-dimming mirror with Homelink, heated side mirrors, a cargo cover and a panoramic sunroof. The SX trim is also available with the voice-activated navigation system with SiriusXM Traffic data. I must say that the performance and handling of the 2013 KIA Sportage SX AWD took me a bit by surprise. The SX as tested boasted a standard 2.0-liter turbocharged GDI engine mated with the six-speed automatic transmission, offering increased output of 260 horsepower with Sportmatic clutchless shifting. Lower and wider than the previous generation vehicle, Sportage’s design and dimensions (overall length: 174.8 inches; overall width: 73 inches; wheelbase: 103.9 inches) contribute to optimal driver visibility as well as outstanding handling characteristics. Built on a unibody platform, Sportage employs independent front and rear suspension systems with MacPherson high performance struts in the front fine-tuned to improve driving feel and stability, while new side-load coil springs reduce friction. A multi-link rear suspension featuring new high-performance dampers and coil springs are mounted separately to minimize cabin intrusion and enhance Sportage’s handling characteristics. The handling is enhanced with these technologies, as there are some sedans that can’t perform as well as the Sportage! With ample NVH reduction measures in place, the advanced suspension design provides a comfortable ride, while also offering dynamic handling characteristics and increased responsiveness. The suspension is mounted on lightweight, hydro-formed subframes to help isolate occupants from road irregularities, while the increased use of high tensile strength steel helps to reduce vehicle weight, improve stability and reduce vibration. 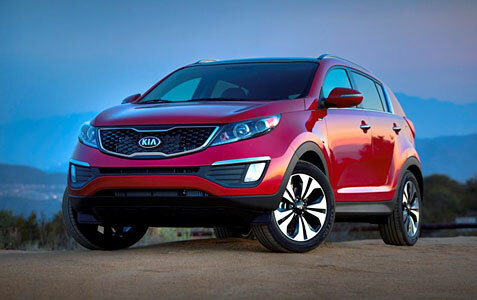 There are some vehicles that just have that “it” factor from the first time you take a look, and the 2013 KIA Sportage SX AWD falls into that category. There are really no major drawbacks with this crossover, especially at a starting price of under $20,000 and around $27,000 for the upscale and sporty SX model we tested. We were also impressed with Kia’s UVO powered by Microsoft voice-activated infotainment system, which improves connectivity and convenience by enabling drivers and passengers to speak via hands-free phone, access music from a variety of media sources and create custom music experiences, all with voice activation. 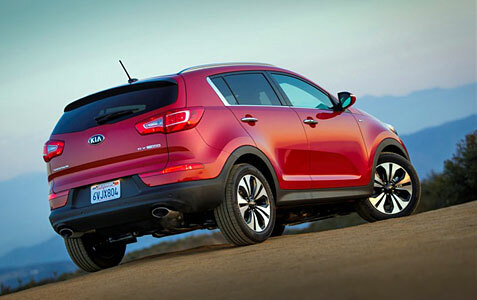 KIA has a lot to be proud of in the Sportage and there are plenty of new, satisfied owners that will undoubtedly agree!